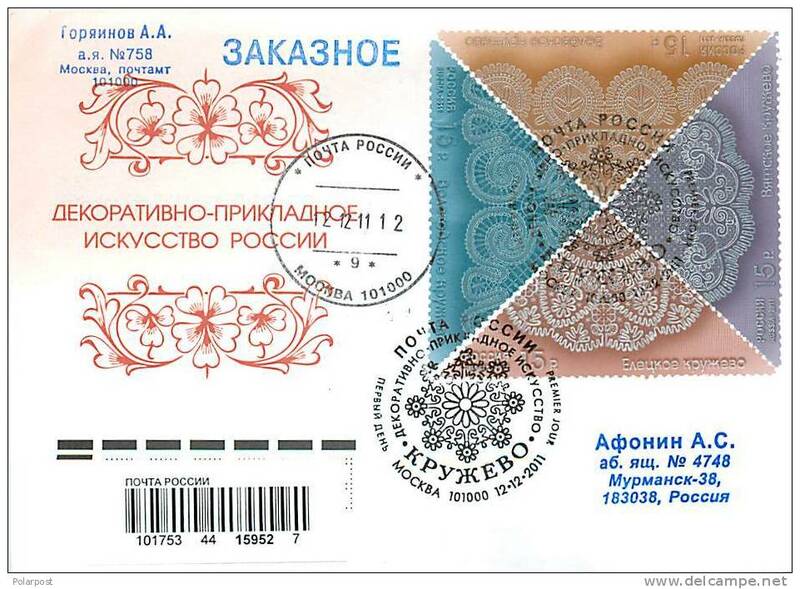 On 12th December 2011, Russia released four stamps titled “Arts and Crafts – lace”. 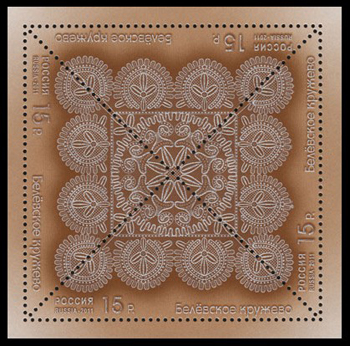 The stamps are in triangular shape, arranged in sets of 4 into a square shape . 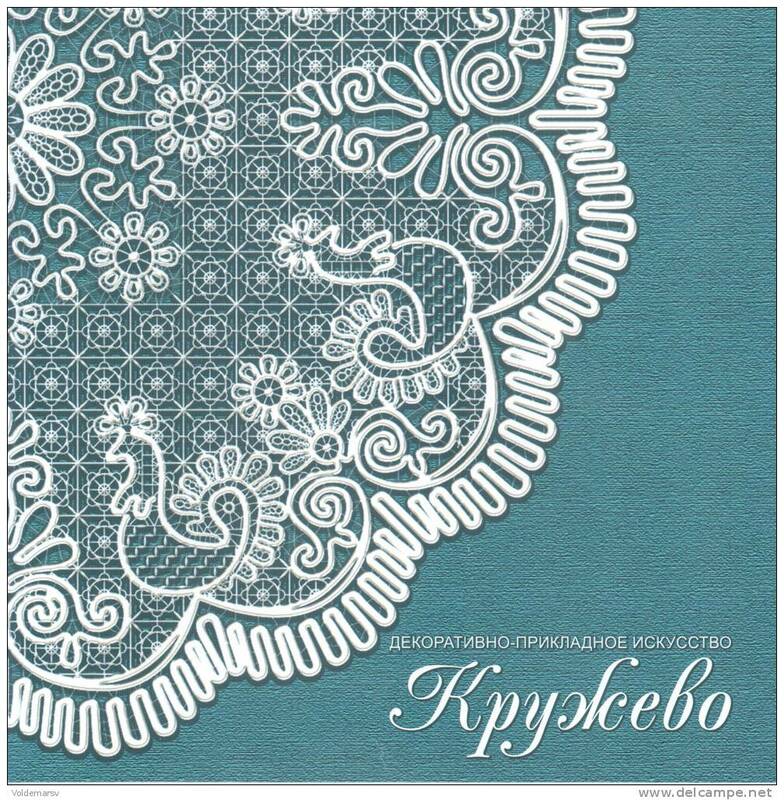 I imagine that this is influenced by the new lace museum in Vologoda. 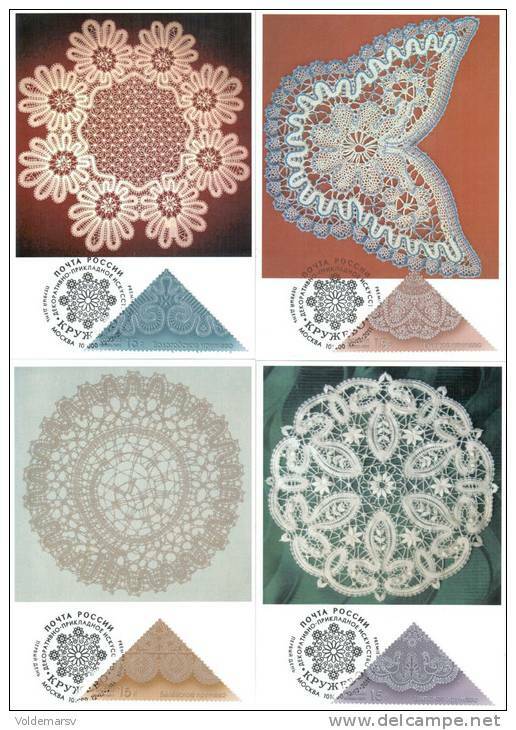 Lace was and is extensively made in Russia in cities like Vologda, Elets, Ryazan, Novgorod, Tula, Vyatka and others. 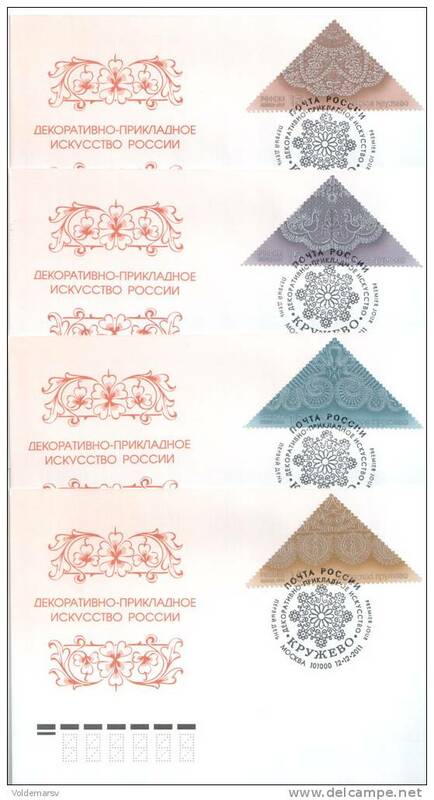 According to the web literature, the stamps show a Belevsky lace cape, an Eletskaya (Yelets) tablecloth, a Vologda napkin, and a Vyatka tablecloth (with the roosters). I’m not sure which is which, I don’t read Russian, so perhaps people could comment on this post with better information. They all look like Russian bobbin tape laces, but that is also not entirely clear. The denomination appears to be 15 rubles, or about 46.6 cents US as of today. At least I think it’s rubles. 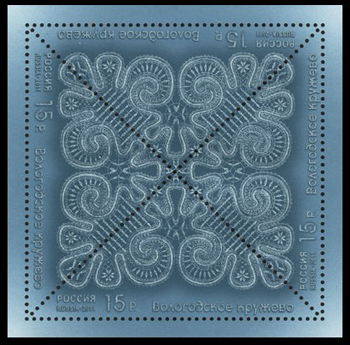 Size of stamps 50х50х70 mm. 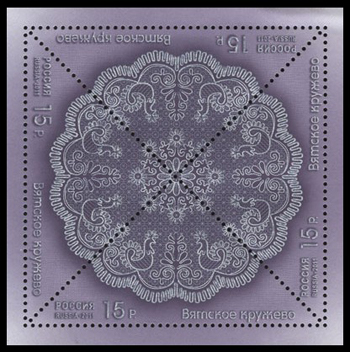 Size of block of 4 – 80х80 mm. Edition: 720 000 copies (180 000 copies of block of 4). 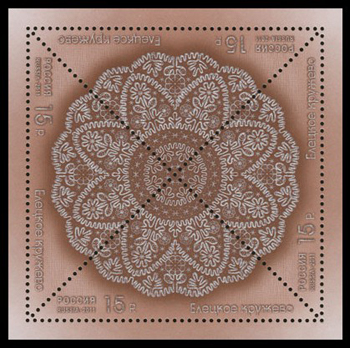 As with most new stamp issues, lots of subsidiary material is appearing, see the figures below for samples. The stamps are now showing up on Ebay and DelCampe. Prices vary, but a complete set of the 4 squares is around 8 euros. First day cover. Four additional covers with the individual blocks are also available. Happy New Year! Would anyone knows where to order these lovely stamps? Thanks! Even though Lace Fairy is a different web site. ROTFL!